My older main pieces were a vintage Otto Link-type and a Guardala Brecker model, and i wanted qualities of both, but never found the perfect in-between mix. I wanted to have a flexible, all-around piece which responds to my playing in the way i want in all the different settings and styles i play, with a full, warm and big sound that can scream when asked to do so. I was so surprised about how resonant, responsive and vibrant this material is, it was ready to go from the very first notes and i always feel inspired when i play. I am amazed by how The SYOS-team interpreted my vision of this sound, and made it into this wonderful mouthpiece on the very frist try! What SYOS is doing is truly innovative and unique, big thanks to Pauline, Maxime, Thomas and the rest of the crew! 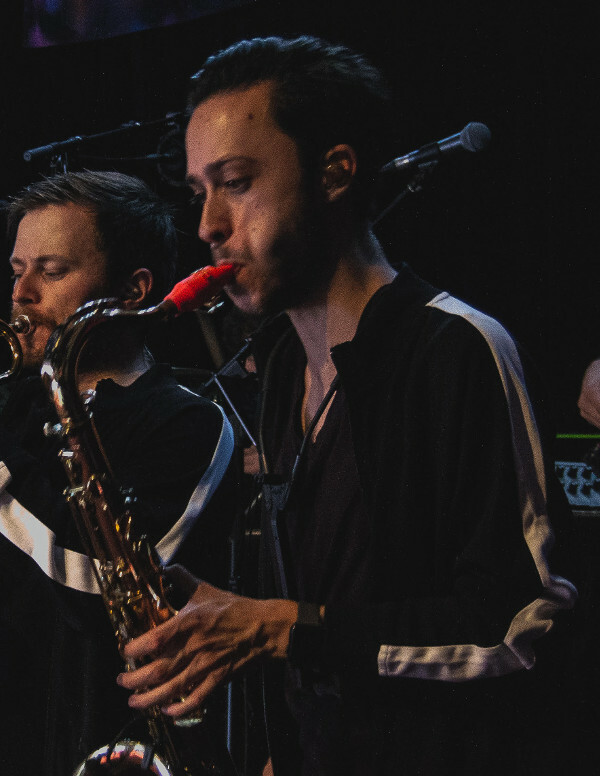 Daniel Deltchev is a young, active multi-instrumentalist from Norway, with saxophones and guitars as his main instruments. He holds a Bachelors degree of Popular Music from Westerdals Oslo School of Arts, Communication and Techonolgy and is currently taking his Masters degree in Musicology at The University of Oslo. Since he moved to Oslo in 2014, he has been active in the pulsating musical environment in the city, having played pop, rock, progressive, fusion, jazz-metal, reggae, soul and many other genres. His biggest projects of today includes The Feelgood Orchestra, which acted at the house-band of Norwegian talkshow «Stian Blipp Show» at TV2 in 2018 and is still doing television-gigs, big events and also backing famous artists from Norway. He is also playing actively with his soul-band Dark Roast and jazz-rock-project Azfalt, having toured Norway and released music with both, otherwise doing session work and backing other Norwegian artists on sax and guitar.